An invention kit for everyone! 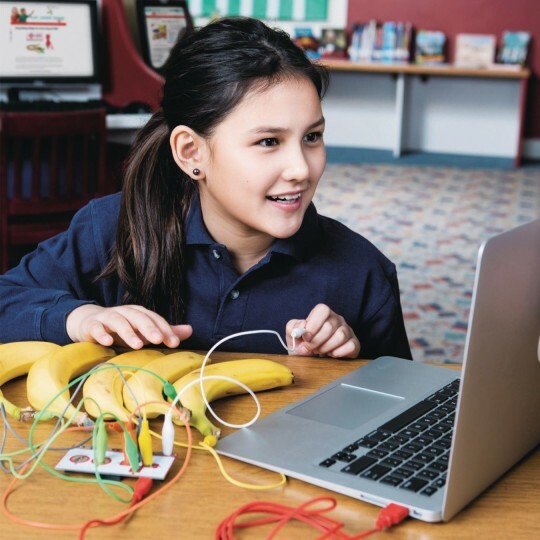 Create, invent, and imagine with Makey Makey™! For beginners or experts doing art, engineering, and everything in between! An invention kit for everyone! Ever played games on Play-Doh® or piano on bananas? Makey Makey is a simple circuit board that lets you reprogram the world by connecting everyday objects to a computer. Rewire the World! Warning: extended use may result in creative confidence. For beginners or experts doing art, engineering, and everything in between. 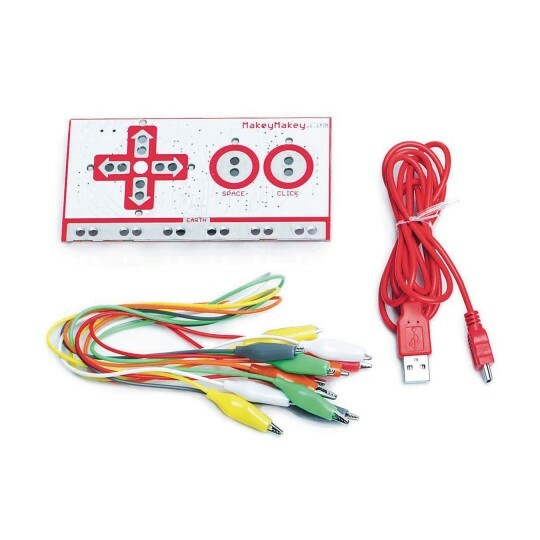 Included: 1 Makey Makey, 7 Alligator Cables, USB Cord, 6 Connector Wires, 1 Tin Case, Stickers, and Instructions. Connect the world around you to your computer! Setup takes just seconds. Just plug, clip, and play! No programing knowledge needed. Plays nice with Mac OS, Windows, and Linux. No software to install. Connects by USB.